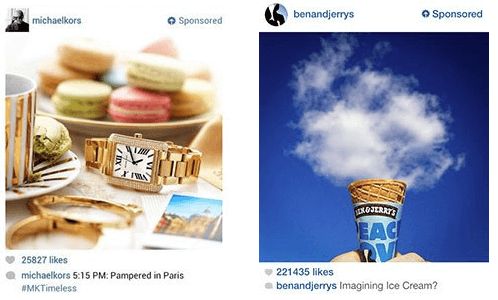 Instagram ads, such as these from Michael Kors (left) and Ben and Jerry’s closely mimic non-promotional Instagram posts. With compelling photography, advertisers can often achieve a low cost per acquisition — provided their target audience aligns with Instagram’s. Images courtesy of Postano.com. If you asked an ecommerce marketer what her lowest cost-per-acquisition channel is, she would likely not say Instagram. Instagram would probably not be in her top five. But Instagram ads can actually produce a low CPA if the target audience uses that platform. In this post, I’ll explain how to take advantage of Instagram for ecommerce marketing. Why is the CPA so low on Instagram? It’s a loaded question, because it depends on many factors. Speaking from personal experience, the cost per click on Instagram is typically the same or a little lower than the standard mobile ads on a Facebook newsfeed. This matters because the cheaper the click, the more chances you have to convert a user, for a given budget. Assuming you have a standard web conversion rate, you’ll generally do well. But the CPA — not CPC — depends on what your product or service is, your goal, how you go about promoting it, and managing the overall experience. The most important factor on Instagram is the creative. After all, this is a social network that’s all about images, and not much else. If you want to have a good CPA, you have to have good creative. There’s no way around it. Think about it. Instagram users might not realize it’s an ad at first. Even if they do realize, the right image is going to encourage them to consider your product or service and convert. Sure, the caption matters. But it is not nearly as important as a compelling image. But a compelling image needs to lead to a compelling experience for those users, to complete the goal of becoming customers, or subscribers, or whatever your conversion goal may be. If that experience isn’t good, all that traffic is going to bounce, your performance will falter, and ultimately the campaign will fail. To avoid failure with Instagram ads, you have to have a site that’s optimized for mobile. If it’s not, don’t even bother advertising on Instagram. 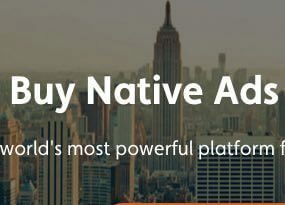 If you’re only going after newsletter signups, for example, make sure the form is what they land on, and cut down on the required information. If you’re selling something and it requires a funnel, try cutting the process down as much as you can, and make sure your credit card processor is mobile friendly. Finally, make sure your prospects are actually on Instagram. Instagram skews to a younger audience. According to Econsultancy, 41 percent of active Instagram users is 16 to 24, and 35 percent is 24 to 34. If your targeted audience aligns with that, you’re set. I always recommend using lookalike audiences for Facebook advertising. (Recall that Facebook owns Instagram; the sole option for placing ads on Instagram is via Facebook’s ad portal.) Assuming you’re using an audience of top converters, that lookalike audience will typical perform better. If you’re not sure how much of your audience is on Instagram, you can check by starting the process to create a new Facebook ad campaign, selecting the lookalike audience to target, and then scrolling down to the budget section. You’ll then get a breakdown of how many people you can reach on Instagram given your budget, as the example shows below. 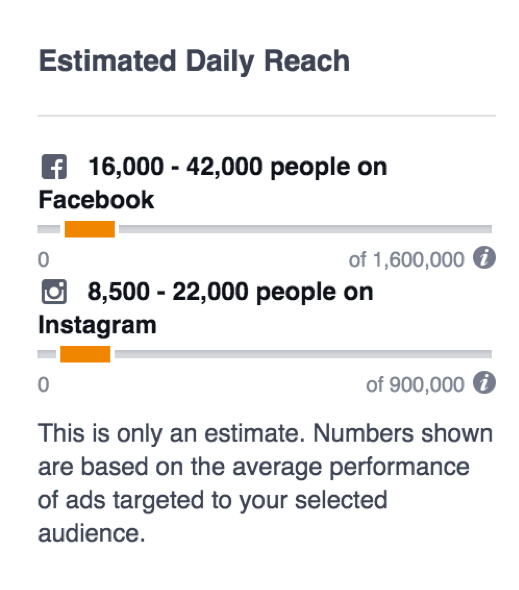 To estimate if Instagram advertising aligns with your target audience, start the process to create a new Facebook ad campaign. Then select the lookalike audience to target, and scroll down to the budget section. You’ll see an estimated breakdown of how many people you can reach on Instagram given your budget. Are you using Instagram to advertise your ecommerce business? Please share your results in the comments, below.